Synopsis: Twins journey to the Middle East to discover their family history, and fulfill their mother’s last wishes. At the reading of their mother’s will, twin siblings Jeanne (Melissa Desormeaux-Poulin) and Simon (Maxim Gaudette) Marwan discover that the father they believed long dead is actually still alive and that they also have a brother. Their mother, Nawal (Lubna Azabal) instructs that she is to be buried face down and naked in a grave with no headstone until her son and daughter each deliver a sealed letter – one to the father, the other to the brother — the notary (Remy Girard), for whom their mother worked for eighteen years, gives to them. Simon, resentful and surly, refuses to comply, but his sister, a mathematical theorist, is intrigued by the mysteriousness of the instructions and ventures to an unnamed Middle East country in search of her mother’s previously unknown past. From such an intriguing beginning — actually, that’s not quite true: Incendies actually begins with a powerful and attention-grabbing scene in which one of a group of children who are having their heads shaved by soldiers glares directly at the audience as Radiohead’s ‘You and Whose Army?’ plays on the soundtrack — director Denis Villeneuve fashions a mystery that explores the emotional fallout of wars fuelled by religious hatred, the delusory nature of identity, and the role of a generation in healing the societal wounds planted by its predecessors. In the deliberately anonymous homeland of her mother, Jeanne encounters frustrating dead-ends, unhelpfulness and hostility as she seeks to identify her father and brother; the past seems to hold the present in a stranglehold, refusing to allow old rivalries and hatreds to be forgotten or resolved, and every piece of information has to be mined like a precious gem. She learns that her mother, a Christian, was impregnated by a Muslim lover who was subsequently murdered by her brothers, and that the offspring of their affair was place in an orphanage. From this tragic start life only grows harder and increasingly tragic for the beleaguered Narwan — in fact it’s difficult to believe any one person could suffer so many hardships in one life — but while this life undoubtedly changes her, it fails to break her spirit and her will to survive. Narwan’s story provides a dual narrative with that of her daughter, offering the compelling opportunity to compare and contrast their stories. 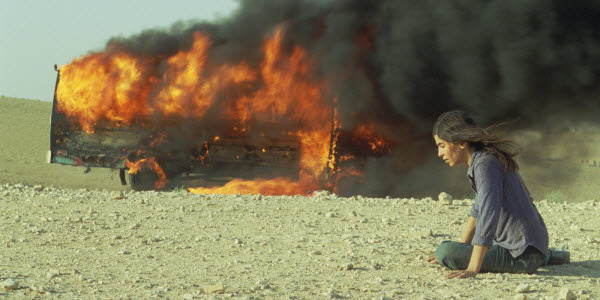 To reveal anything else about the plot would probably count as a spoiler, and as the entire mystery of Incendies revolves around a twist of jaw-dropping proportions, it would be unfair to reveal more. 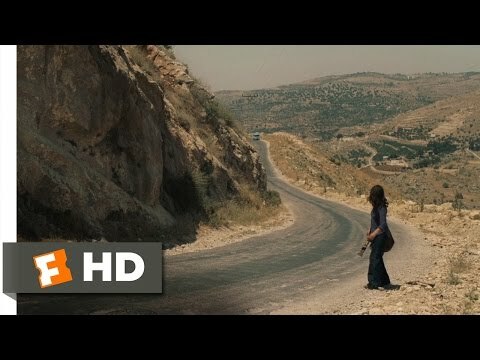 While it seems to be the general opinion that Incendies was a better film than In a Better World, the movie to whom it lost the Academy Award’s Best Foreign Language gong, it’s not without its flaws, chief of which is probably the melodramatic nature of some of its episodes and its reliance on a number of monumental coincidences. But the affecting nature of the film means that these are things to ponder after the credits have rolled, because while Incendies is divulging its secrets with a calculated miserliness you will be glued to the screen, held there not only by the intrigues within the story but by the fine performances of Azabal and Desormeaux-Poulin.